December first is the start of Advent this year. It seems fitting since most Advent calendars start on the first. 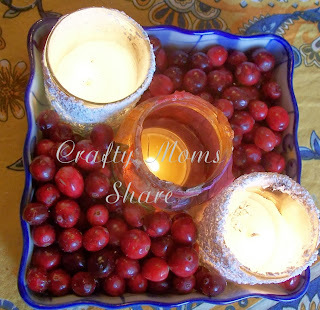 But this year, the first is also the first Sunday in Advent when you light the first candle of the Advent wreath. I personally love Advent. It is a time to prepare. The church uses the color purple for Advent. We are preparing for the coming of Christ. Now my parents gave us a beautiful wooden Advent calendar a couple of years ago. The only problem is we have to fill it each year. This year I decided to go with a crafty theme. I always try to focus it on the nativity to make sure the true meaning is getting through to Hazel and that it is not about gifts and commercialism. This year I am organizing a huge event at my church for next Saturday. It is called a Night in Bethlehem. We will have a live nativity (with real sheep) as well as a marketplace full of crafts for kids to make to see what it was like in Biblical time. My focus this week will mostly be on this, but I will be trying to get some posts up. Anyway, I needed to find some peg dolls for one of the crafts and discovered Casey's Wood Products. 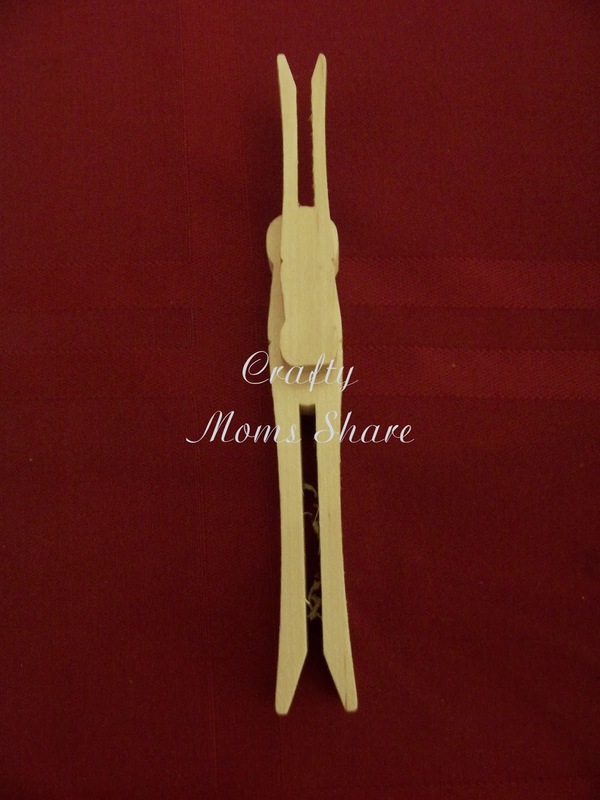 They have very reasonable prices for wood products and you can buy the wood projects by the individual. I bought some nativity figures for Hazel. I am using these this year in her Advent calendar with a few other added crafts. I am going to let her decorate them if she wants to. 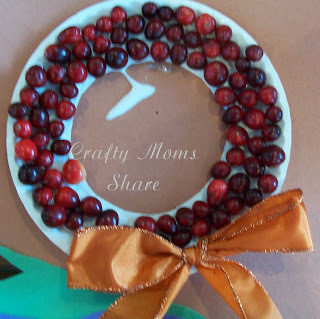 However for the first I found this great miniature Advent wreath craft. 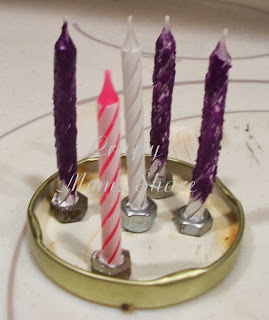 I wanted to use purple candles so they would be like the ones we have in our big wreath, so I "painted" some white birthday candles with melted crayons. I saw how to do it on Catholic Icing: Make Pink and Purple Advent Candles. The best part is that we had all the supplies at home. I invaded Steve's tool room for the nuts and of course the recycling bin for a lid. I am going to let Hazel make it tomorrow. I just put it together for a quick picture. Since the first candle is for hope, we will make a hope craft on the second day. For her calendar I printed out the themes my church uses and put one in on each Sunday (or Monday for the first one) so we will have ornaments for each theme. Love and Peace are easy ones to find. 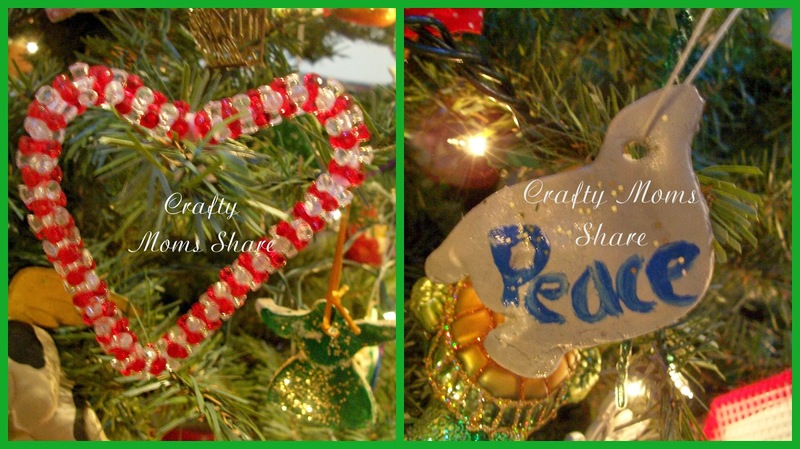 We actually have a peace dove ornament that we made from salt clay a couple of years ago and I made a quick beaded heart ornament when Hazel was making beaded candy canes. The hope and joy ornaments will be a bit harder. I picked up a joy rubber stamp at Joann the other day for $1. 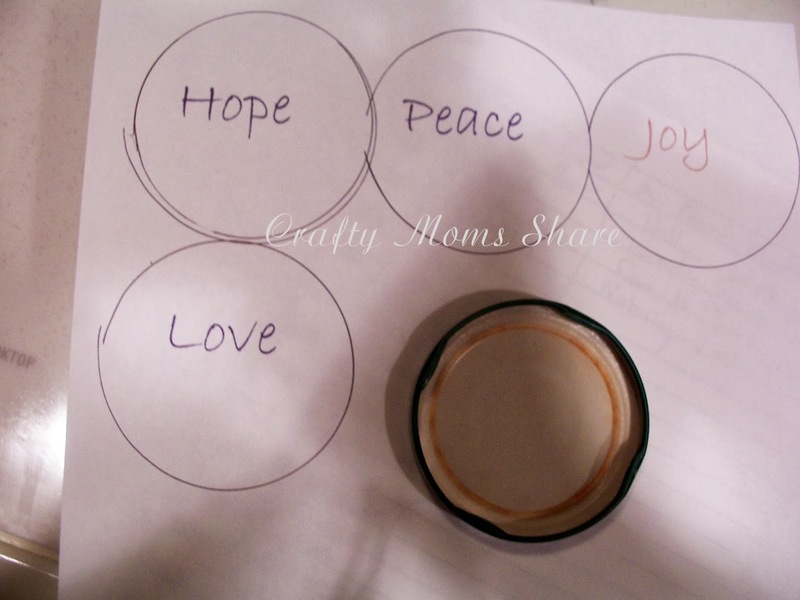 I may do some clay ornaments similar to what we did for our Christmas in Kenya craft with the stamp. For hope I am thinking about doing something like this snowball ornament on Just Crafty Enough but use the word hope instead of joy. I have some letter stickers and may try them instead of vinyl. I also love the idea of twig ornaments that you can see on First Home Love Life. 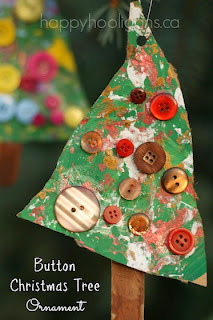 If you want other ideas for ornaments and Christmas decorations you can see what I have pinned in my Christmas board. Now for Hazel's Advent calendar I try to make the gifts tell the story of Christmas. I always start with an angel, so I bought some angel peg dolls. 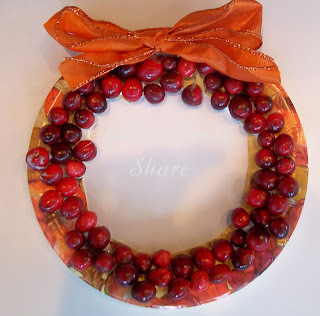 This is what will be in her door for the 3rd. We will make an angel from it and share it with you. The fourth will be the Mary figure (alternative craft at First School) and the fifth will be Joseph. 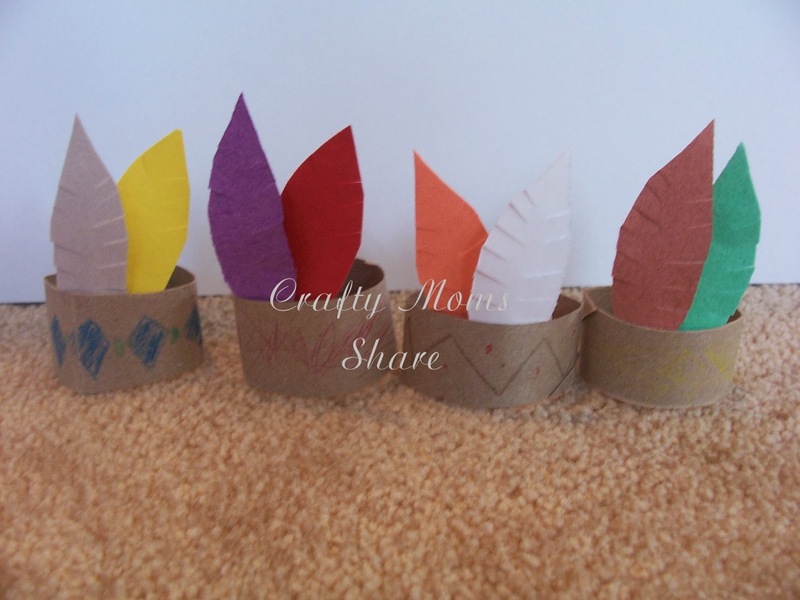 Then on the sixth we will do another angel craft. I think we will be doing the Easy Paperclip Angel Ornament from Crafty Journal. Steve promised to bring home the paperclips for me since he has some at work and not at his desk at home. 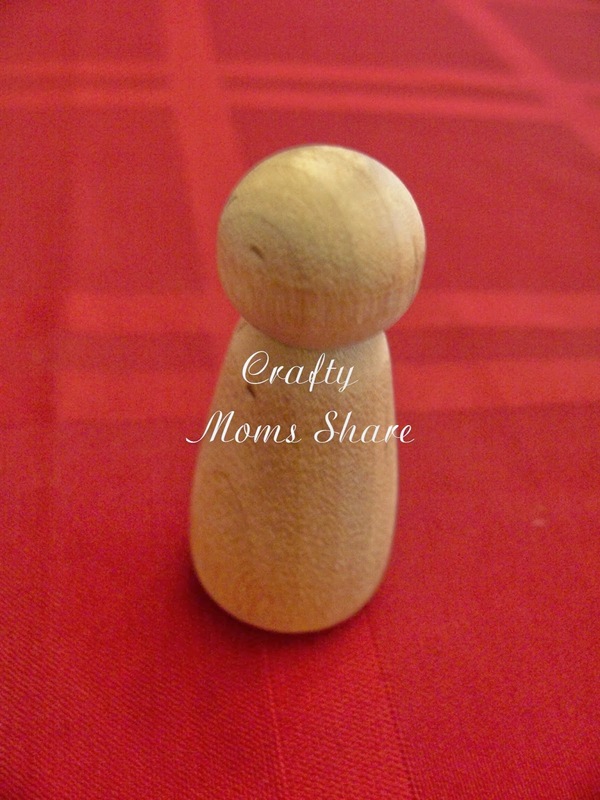 If you want other ideas for angel crafts, I have an Angels board. (I started this board when we were participating in an angel swap for inspiration.) 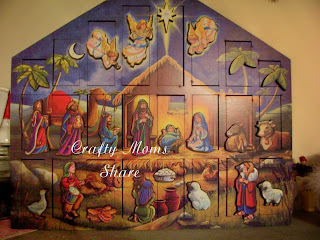 I should also mention Activity Village has some alternative crafts for the entire Nativity including a nativity mobile. For the next day we will do a donkey craft. Even though a donkey is not mentioned in the Bible it is in so many of the stories, that I like to include it. 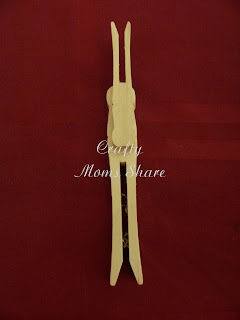 I bought these clothespins at Casey's Wood Products, but Oriental Trading also has a similar donkey craft. After the donkey we will do the star and then the sheep and shepherds. Then we will do the camels and wisemen. We will also make a popsicle stick manger. Finally on the 23rd we will make one of the simple nativity ornaments I have pinned and the 24th she will get the "manger" which Casey's Wood Products called the bathtub since they did not have any mangers left, I bought something that would work. That is our plan for this year's Advent calendar. Another idea I had was inspired by the Christ the Savior is Born Advent Calendar on Sunlit Pages. 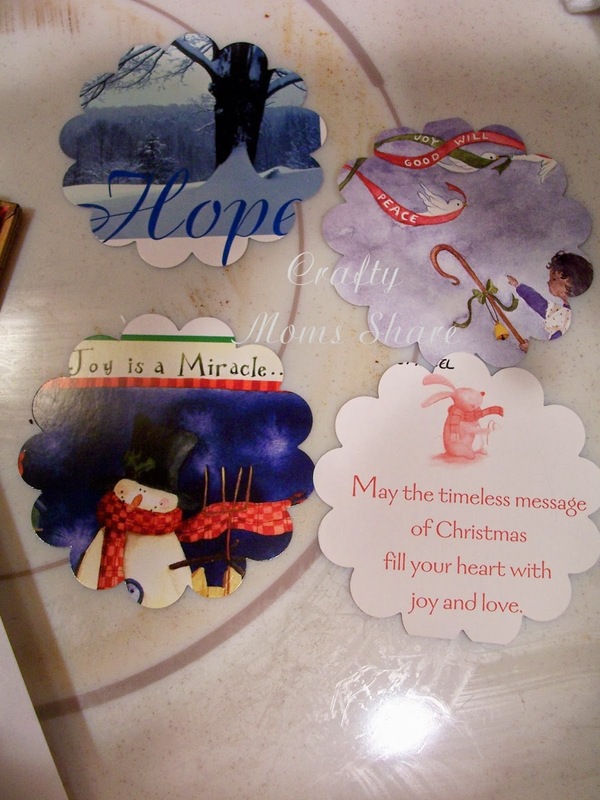 I went through our old Christmas cards and used a fancy punch to punch out nice pictures and/or words. I took a picture of four that could be used to represent the Advent themes. The idea was to put numbers on the back and add strings and hang them in similar fashion to her Advent calendar. You would get a nice picture for each day. Perhaps that will get done next year. For today, this is all we are going to share. 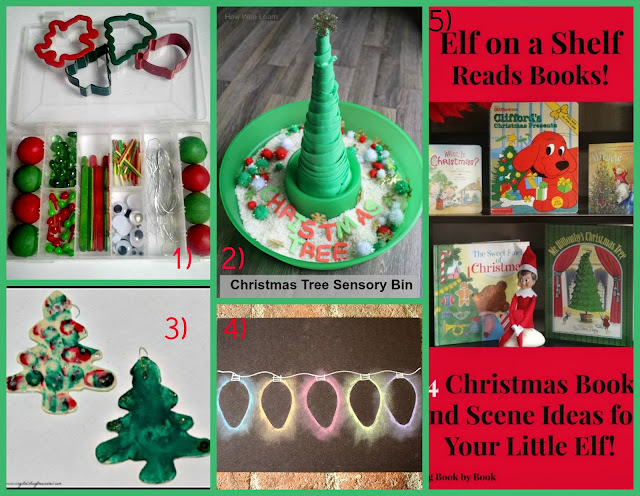 If you want more ideas for Advent calendars please check out my pins in my Advent board. There are many various ideas there! 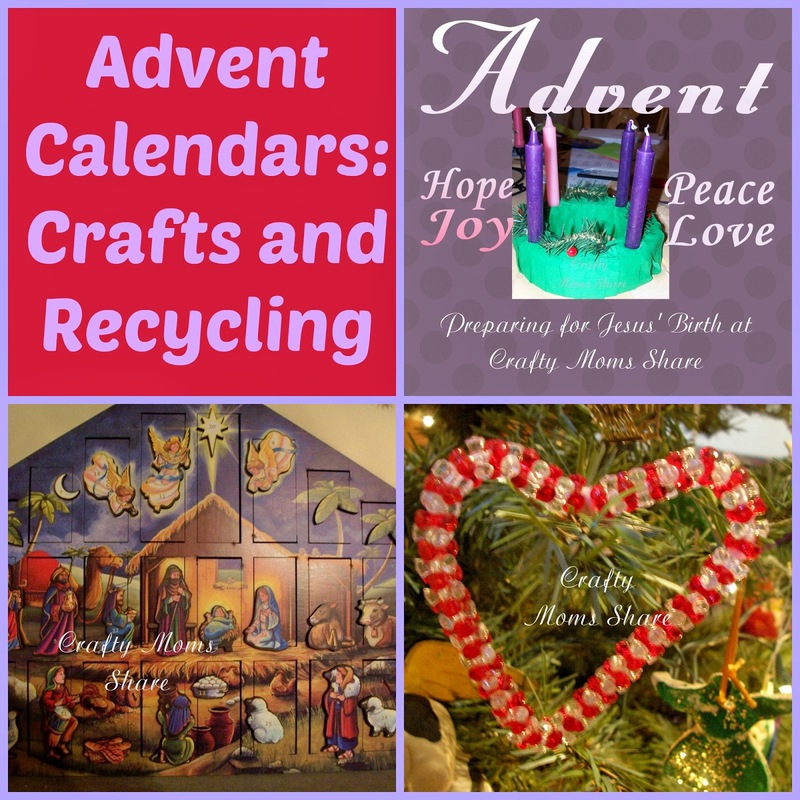 I would love to hear what you do for Advent. Happy Advent!! Now I will admit that I am so fascinated by Native American culture. I don't know if it is the drop or so Native American blood I have in me--my grandfather always said someone along the way married a Native American (well he used Indian), but I don't know much more than that. My sister however does and she found out recently that our Native American ancestor answered Lincoln's first call for soldiers for the Civil War. I love to learn about the way different tribes live(d) and hear the stories. I love them so much I took a class on Native American Culture in college. Anyway, I guess I'm working on passing on my love to Hazel. 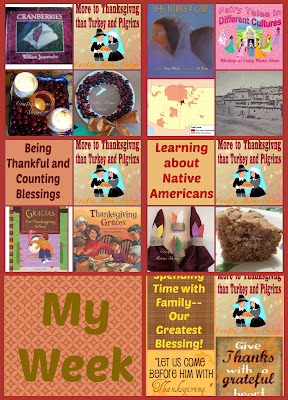 We have been reading many books about Native Americans--Wampanoags in particular--as well as much on Squanto. I have learned so much that I never learned in school. Now with many things in history, there are different versions in the books as well as on-line. Here is what seems to be the most widely viewed. Tisquantum or Squanto was a member of the Patuxet Tribe and was kidnapped at age 12 by Europeans led by Captain Thomas Hunt. Squanto and his fellow braves were taken to Malaga, Spain and sold as slaves. Squanto however was bought by monks who believed God had other plans for Squanto. He spent five years with the monks and learned their language and their religion. Then the monks sent him to England so he could eventually go home on a ship there. More ships sailed to the New World from England than Spain. They arranged for him to live with a merchant, John Slany, and his family. He learned English there and was amazed by the large city of London. About five years after arriving in England, Squanto was able to go home on John Smith's (of Pocahontas fame) ship led by Captain Thomas Dermer. Squanto had known Captain Smith and Captain Dermer from trading with them as a boy. Squanto was able to translate for the English when they came to Native Americans and thus was useful and worked for his journey. 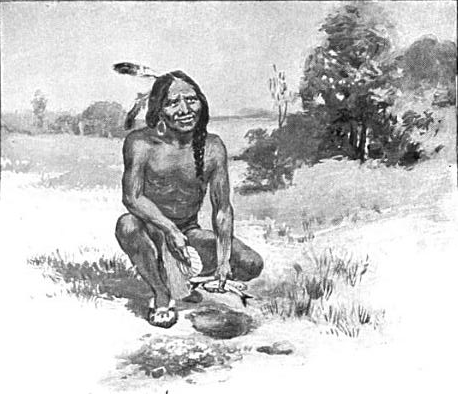 Upon arriving home, Squanto saw that the Patuxet village was deserted. The fields were untended and not even dog barked to greet him. 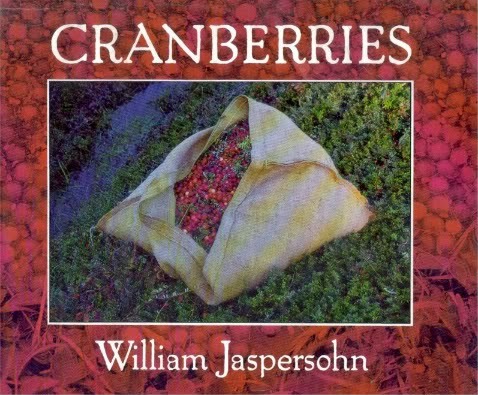 He walked to a nearby village of the Wampanoags and discovered that his tribe had been wiped out by an illness. He lived with the Wampanoags for a bit, but eventually went to live on his own in the woods. One day Samoset came to visit him. Samoset was sagamore of an Eastern Abenaki tribe that resided in what is now Maine. He was visiting Massasoit, the chief of the Wampanoags. Samoset had learned broken English from the fishermen and traders he met. 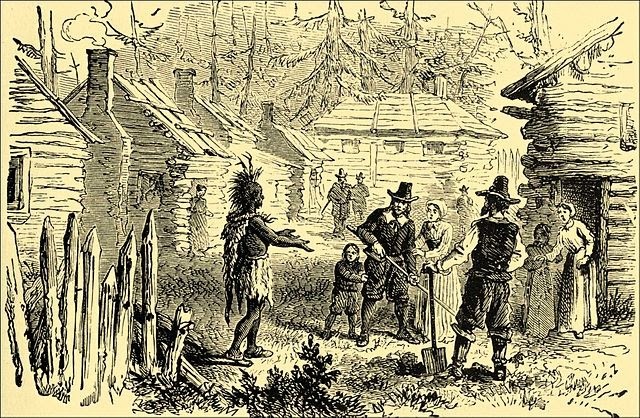 (Source) Samoset was the first Native American to approach the Pilgrims in Plymouth. He went to get Squanto since Squanto's English was better. To go with learning about the Native Americans in the Thanksgiving story, we made a simple Native American craft for our Thanksgiving table. 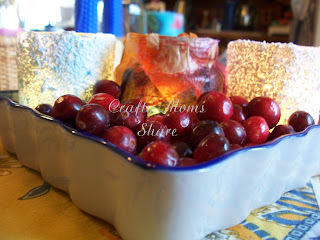 We followed the instructions in Kathy Ross' book, Crafts for Thanksgiving. 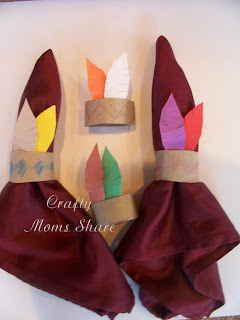 We used a paper towel roll and construction paper to make Native American headdress napkin rings. 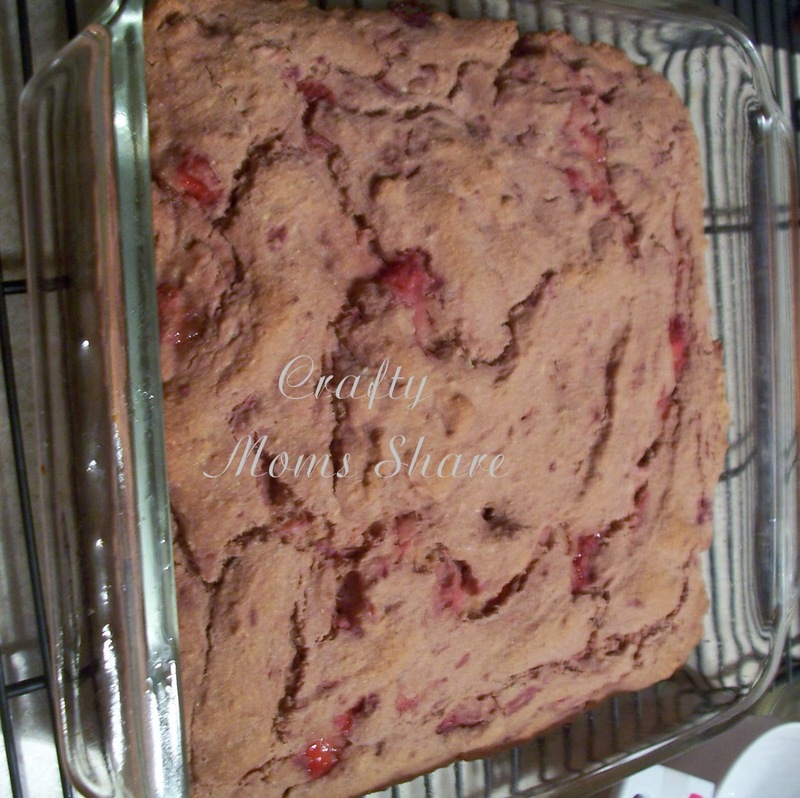 We also made a strawberry corn bread. 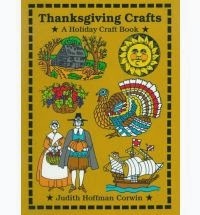 The recipe came from Thanksgiving Crafts by Judith Hoffman Corwin. 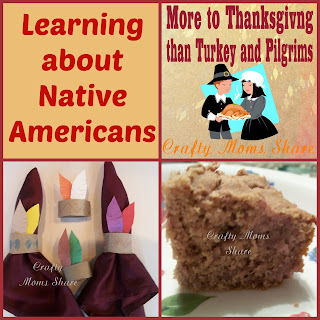 The introduction to the recipe discussed how the Native Americans had thanksgiving festivals. 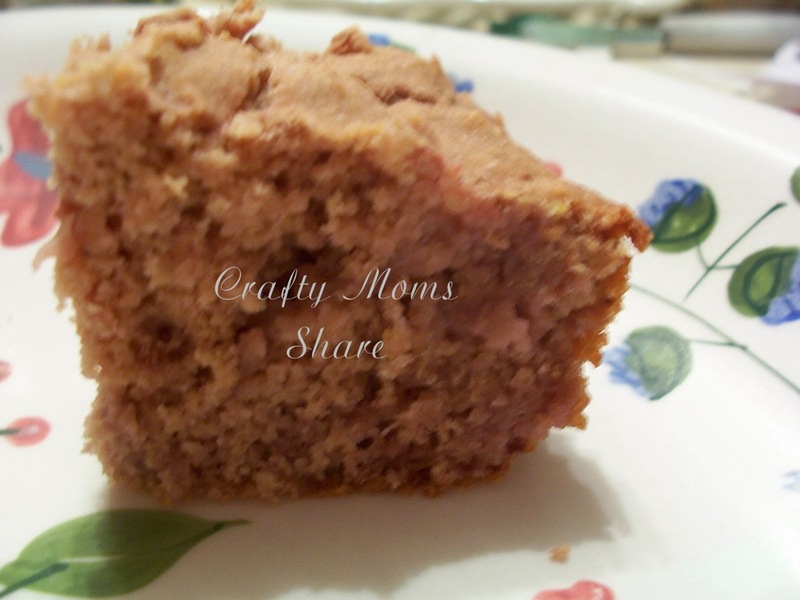 This recipe might be used for a strawberry festival. Hazel did not like the bread, Steve did and I thought it was all right. I of course made it gluten free. 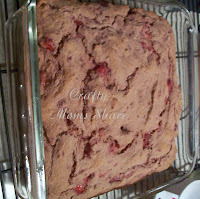 It was made with frozen strawberries (but thawed) and I used the entire bag instead of measuring them out. I am glad I did because it had very little liquid in the recipe. 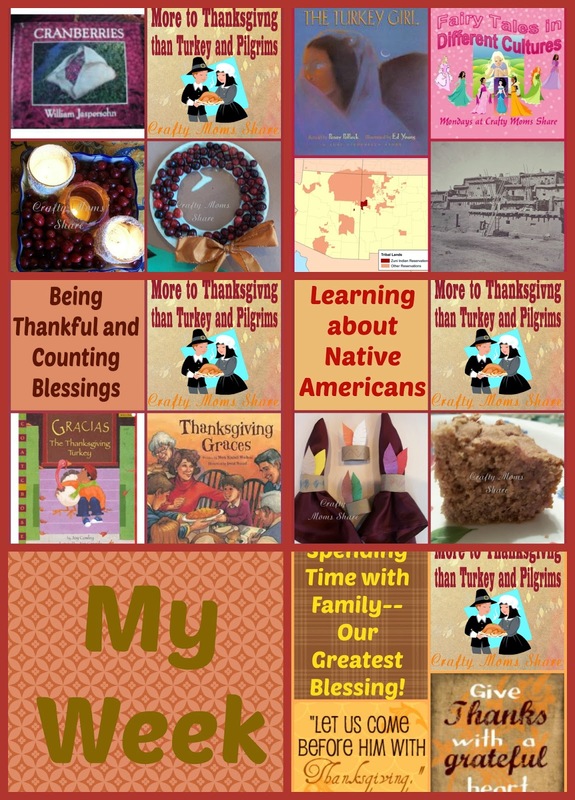 For more Native American posts check out Pocahontas, The Wampanoag Tribe, A Native American Cinderella (includes two books and a craft), Native American Cinderella 2 (two more similar stories), and The Turkey Girl, a Zuni version of Cinderella. 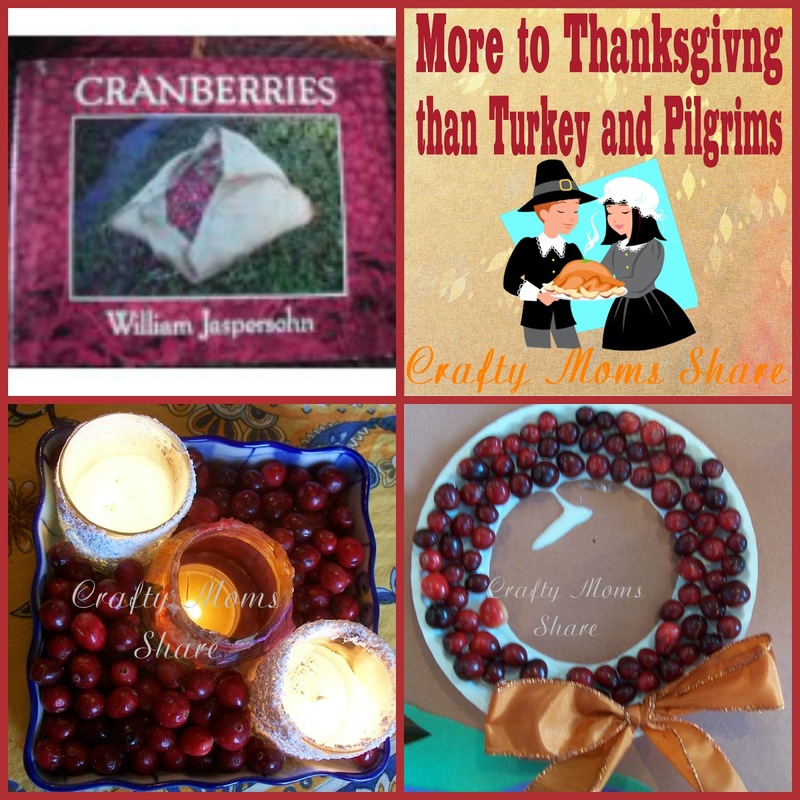 Today I am going to share an easy Thanksgiving craft and several great Thanksgiving books we have been enjoying. We will start with the books. 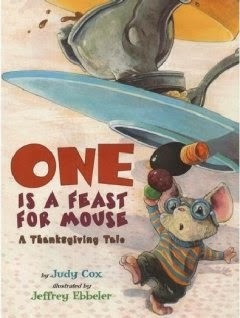 First is One is a Feast for Mouse by Judy Cox. This is an adorable story of a mouse who sneaks out while everyone is distracted in the post-Thanksgiving stupor--napping, television, etc. He climbs up on the table and finds some leftovers. He starts by taking one pea since one pea is a feast for him, but then he sees the cranberries and takes one of them as well. Then he sees something else. Pretty soon he has a huge pile of food including the turkey and gravy and wakes the cat and the mouse drops all the food. He manages to get away from the cat and then finds one pea near his door. 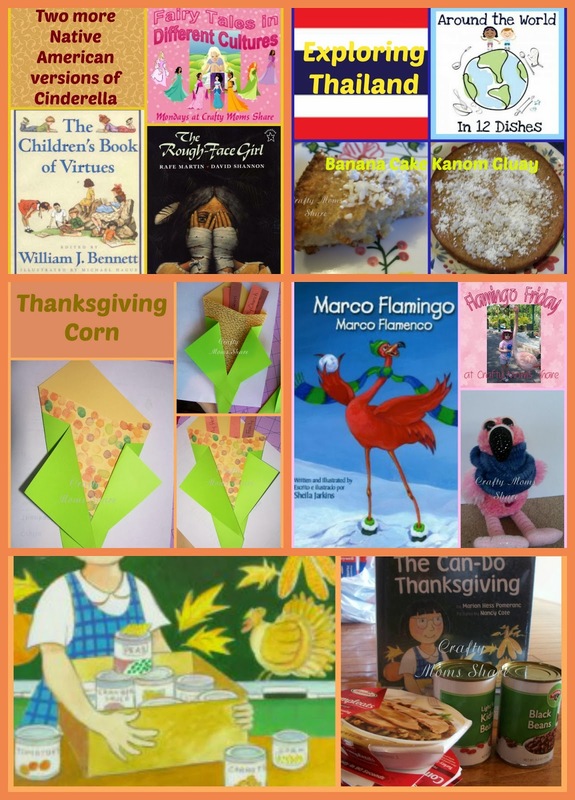 It is a cute story to talk about greed and overeating. 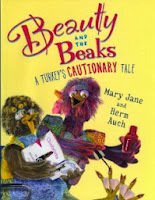 Next is Beauty and the Beaks: A Turkey's Cautionary Tale by Mary Jane and Bern Auch. Beauty is a hen who owns a hen/bird beauty parlor. One day there is a new bird on the farm. He is a turkey. He starts talking about how he is going to a big party at the house and he is the only bird invited. He is bragging to everyone about it. Beauty goes up to snoop at the house and hears that the turkey is the main course for the Thanksgiving meal. She feels terrible for him and goes and tries to help him escape. It is a cute tale of someone helping someone else even after they were not very nice. 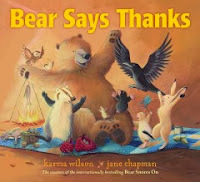 Next is Bear Says Thanks by Karma Wilson. This is not really a Thanksgiving book per say, but it does have to do with a huge meal and saying thanks. Bear wants to have a dinner party for his friends, but his cupboard is bare. Each friend then shows up with part of the meal and Bear keeps saying, "Thanks" to his friends. Then he feels bad about not having anything to add to the meal. His friends tell him he adds his stories and personality. It is a wonderful story about sharing and friendship. 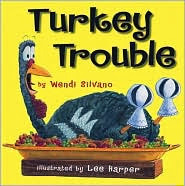 Turkey Trouble by Wendi Silvano, I shared last year, but we still are really enjoying it. It is another book about a turkey trying to escape being Thanksgiving dinner. He tries to disguise himself as the other animals on the farm, but the other animals keep noticing it is him. Finally he dresses as the rooster but then he overhears the farmer and his wife discuss that they will eat the rooster since they cannot find the turkey. He then finds the perfect solution so he and his friends are not eaten for Thanksgiving. Hazel loves this one and loves the ending which I will leave to surprise you! 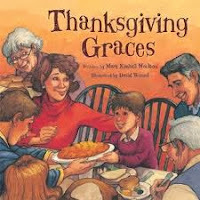 Thanksgiving Graces by Mark Moulton is my new favorite Thanksgiving book. 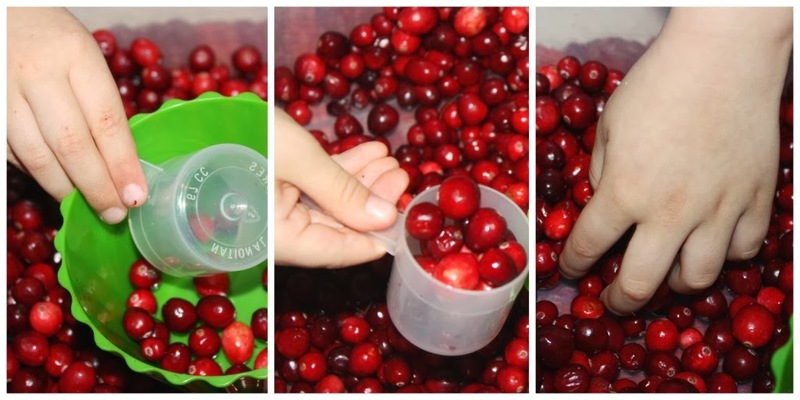 It is the story of a family preparing the Thanksgiving meal and table. The crowd keeps growing including some unexpected guests. 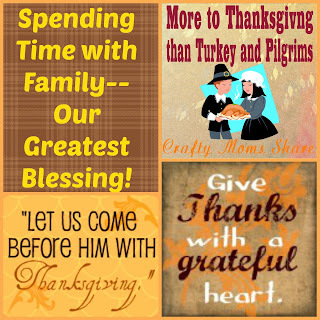 They keep making room and sharing and it really tells the wonderful idea of Thanksgiving being about sharing what you have and taking care of one another. 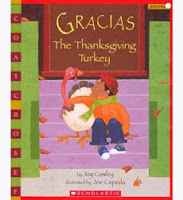 Gracias the Thanksgiving Turkey by Joy Crowley is a wonderful story about a boy and his pet. His father sends Miguel a turkey while he is away from home (he is a trucker so he is away a lot). The note on the turkey says to fatten him up for Thanksgiving and the father will be home. Miguel names the turkey, Gracias. Miguel and Gracias become best friends. Miguel keeps him out in the yard until someone steals him. After that his grandmother allows him to keep Gracias in the house (a police officer brings him home). 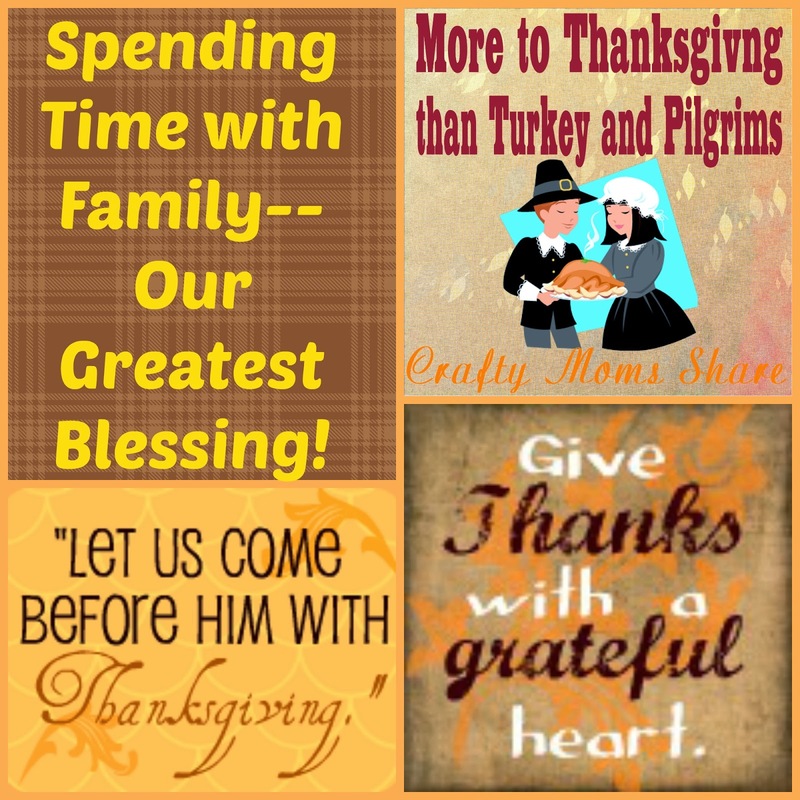 One day the grandmother is rushing Miguel to mass and the turkey does not get locked up. The next thing they know Gracias is walking down the aisle of the church. The priest blesses both Gracias and Miguel and after that the grandmother says they cannot eat Gracias, so they have chicken for Thanksgiving. Miguel holds onto the hope that his father will be home and at the last minute, he does come home. It is a wonderful story about family, friendship and love. 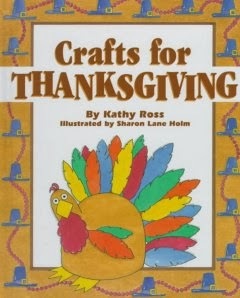 It also is a wonderful multicultural book. Miguel is Puerto Rican and there are Spanish words throughout the story. 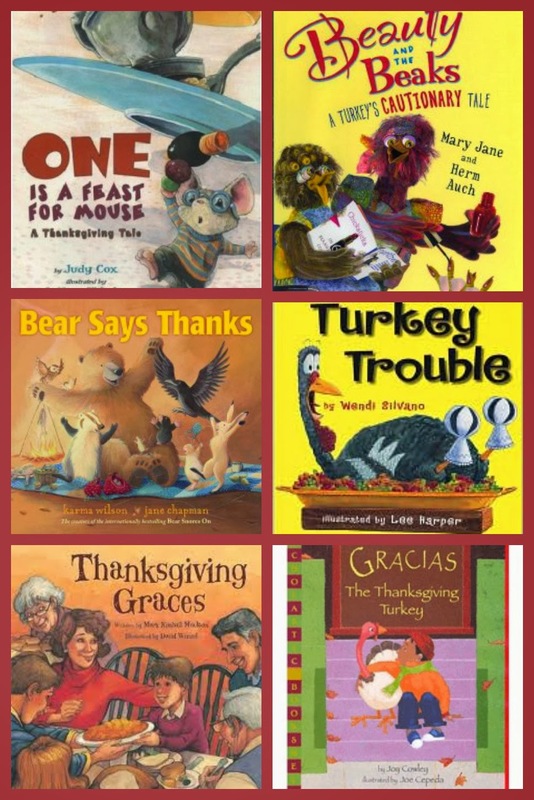 If you want to see more Thanksgiving books that we have read in the past few years there is a round-up here. Now for my simple craft. I found this one on Pinterest and it originally was on Oh My! 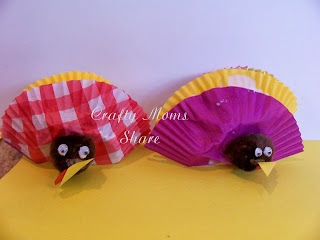 Creative: Kids Thanksgiving Turkey Craft. I added a bit more to it. It is really simple. You cut some cupcake liners in half and glue three to four together so they look like layers. Then add a brown pom pom for the head and a yellow beak. We also added eyes and the red part under the beak. I'm not sure what it is called. For more Thanksgiving crafts go here to my round-up of past and present! Tomorrow we will be looking at Native American crafts and Thanksgiving books. 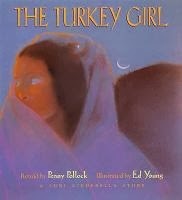 For our final Native American Cinderella tale, I am sharing a Zuni version called The Turkey Girl retold by Penny Pollock. Now this story is a bit of a stretch to be a Cinderella tale, but I have seen it on various lists of types of Cinderella tales, so I am sharing it. First a bit about the Zuni people. The Zuni live in New Mexico and have been there for 3,000 to 4,000 years (according to archeologists' estimations). 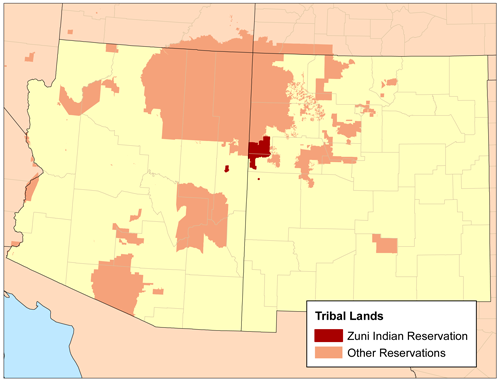 Their reservation is about 450,000 acres. They are farmers of maize (corn) and wheat. They also now engage in jewelry making as an important income to the Zuni people. The traditional Zuni life is a matrilineal line. They have very specific groups and order for religion and life. Zunis still practice their own religion and beliefs. They are very artistic and express their beliefs in their art. The Zuni language is believed to be more than 7,000 years old. Now onto our story. In the author's note it is mentioned that Frank Hamilton Cushing included this tale in his collection of Zuni folktales. 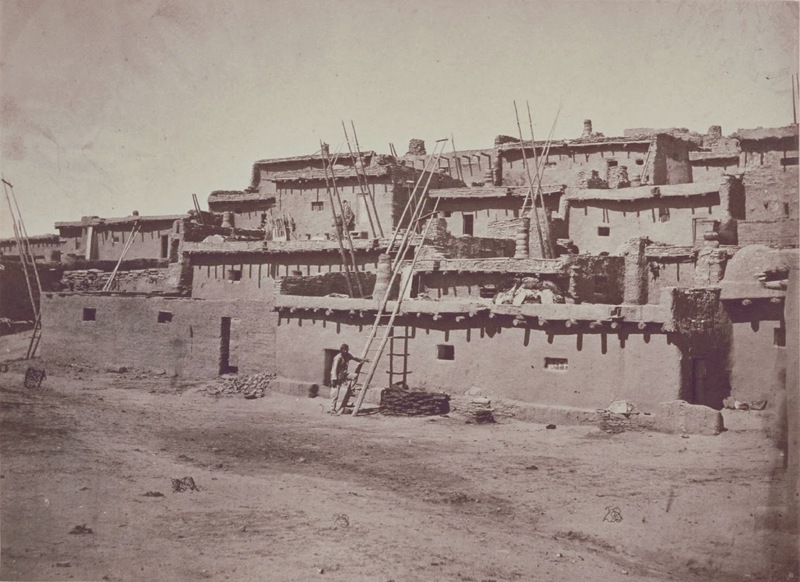 Cushing traveled to New Mexico in 1879 to study the Zuni. He admired them so much that he became a member of the tribe and lived with them. 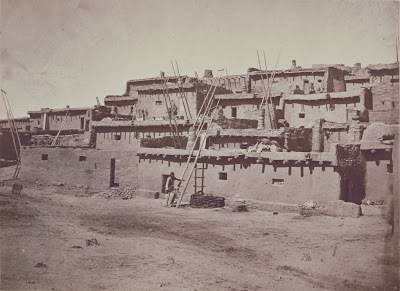 A young orphan girl lived in the shadow of Thunder Mountain and nestled against the edge of the pueblo village, Matsaki. She was very poor and herded turkeys for a living. The wealthy families of Matsaki valued the turkey tail feathers for decorating prayer sticks and ceremonial masks. They paid the young girl with corn and cast-off clothes and called her the Turkey Girl. Her days started at dawn when she led the villagers' turkeys to the flat-topped mesa of Thunder Mountain to graze. Then at sunset she led the turkeys back to their stockade of cedar sticks. The turkeys were her only friends. The humans did not talk to her even when she went to the spring to get water and saw others there. One night while at the spring, a herald-priest announced from one of the flat housetops that a Dance of the Sacred Bird would be held in Hawikuh in four days time. 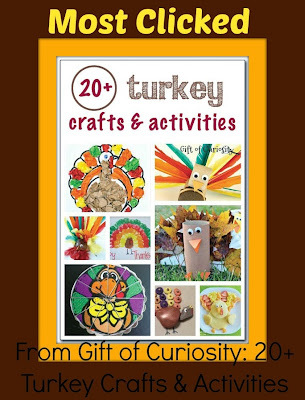 The Turkey Girl caught the excitement and imagined herself dancing with others. She could not stop dreaming of the dance and told the turkeys all about her dreams. On the day of the dance, the villagers left at dawn for Hawikuh. 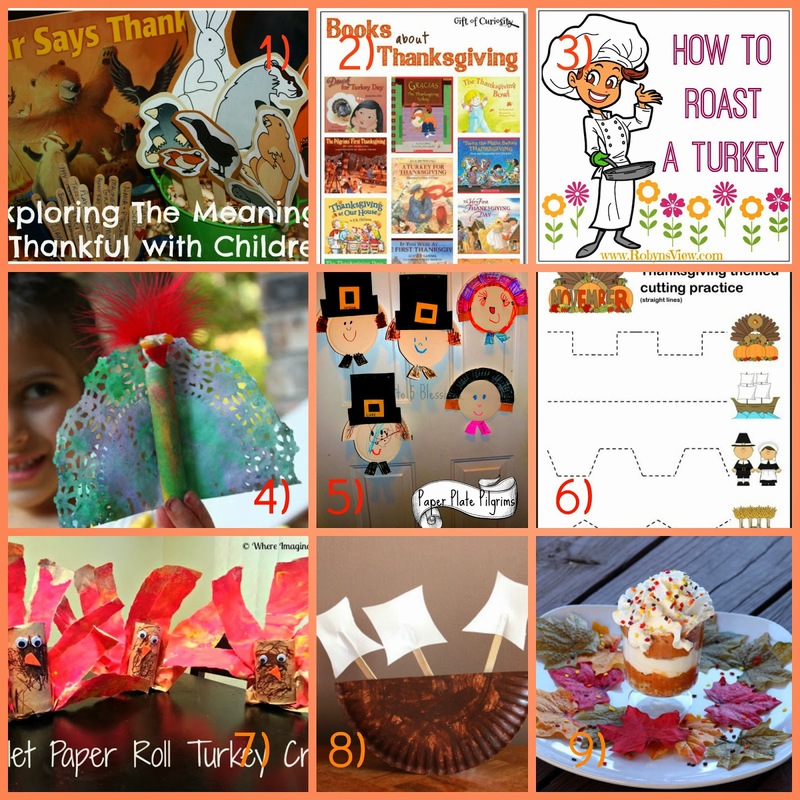 The Turkey Girl was left with the turkeys and her normal day, however she had tears running down her cheeks. While walking along the birds cause a commotion and get her attention. Then a huge turkey stepped forward and begins to talk to her and tells her she shall go to the dance. Then he tells her the turkeys will take care of her tattered clothes if she goes into the pen with them. In their pen the turkeys break into song and dance and clean the girl. Then they have her undress. Swaying up and down the turkeys tread and tap new life into her clothes. They sing while they work. Soon she is dressed in a white doeskin dress belted with red and yellow cloth. They give her rare shells and beautiful moccasins. Next the turkeys cough up jewels that the people have dropped on the ground over the years. 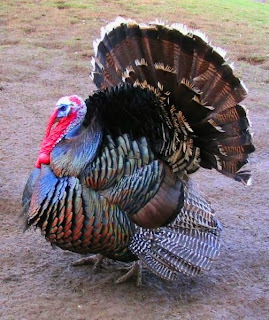 Then the turkeys give her one condition--she must not forget them and will show this by returning to them before Sun-Father returns to his sacred place and while she is gone to leave their pen unlocked so if she does not return before night they will be free. She rushes off to the dance feeling beautiful and special. When she arrives the dancing has already started. She hears music from drums, flutes, turtle rattles and notched sticks. The musicians miss a beat when they see the beautiful stranger. She joins the dance and has a wonderful time. The braves want to dance near her. As the sun's rays began to go down, she thinks when the music dies I will leave, but with each break the music started right back up and she continued to dance. As darkness approaches she thinks of leaving, but a brave brushes against her and she wonders why she will leave for turkeys. Then as night sets in she remembers the kindness of the turkeys and she runs home to their pen. She however is too late. The turkeys had waited for the sun to set but left Matsaki forever. She is full of sorrow and even more so when she sees her dress was back to rags. She understands she has lost her turkey friends forever. From this day on the turkeys have lived apart from their tall brothers for the Turkey Girl had not kept her word. Join us later this week for more on Native Americans!! 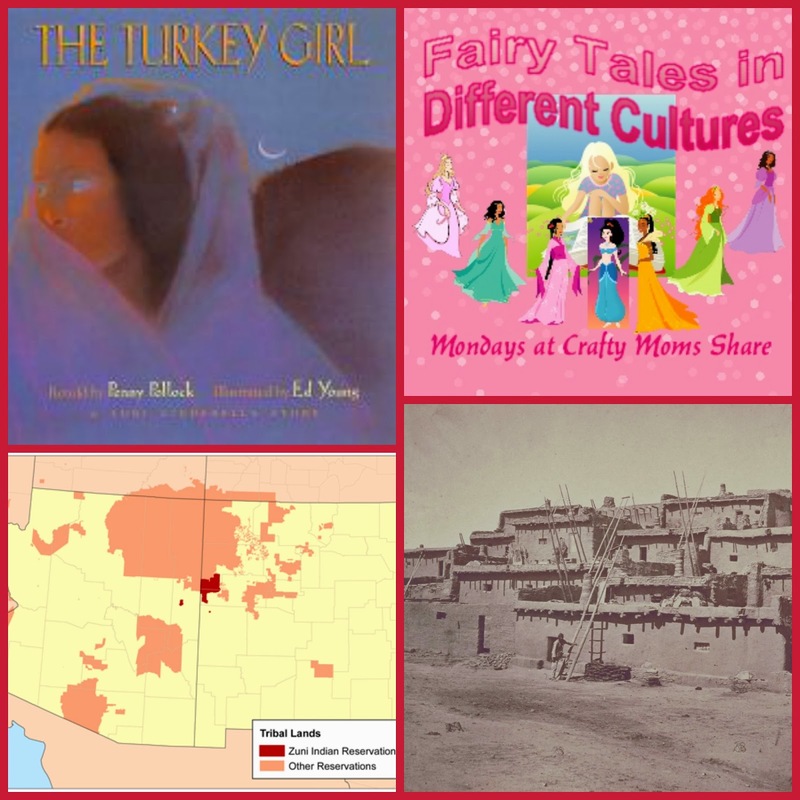 Also visit last week's fairy tales for other Native American versions of Cinderella. Thank you to everyone who shared with us last week!! There were some amazing and inspiring things shared. I haven't seen all of them, but have enjoyed the ones I have gotten to so far. I hope you have had a chance to check them all out and leave some comment love for each other! Now onto our features. With Thanksgiving next week, I decided to feature some of the Thanksgiving lessons, crafts and decorations shared. 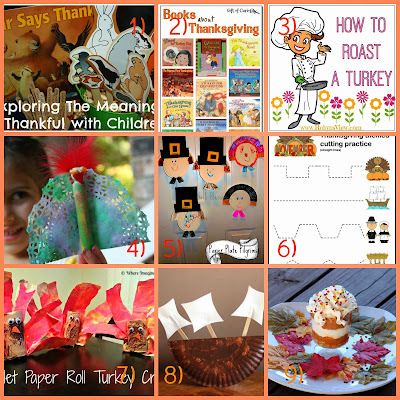 We had so many wonderful Thanksgiving ideas shared. I picked only a few of them. 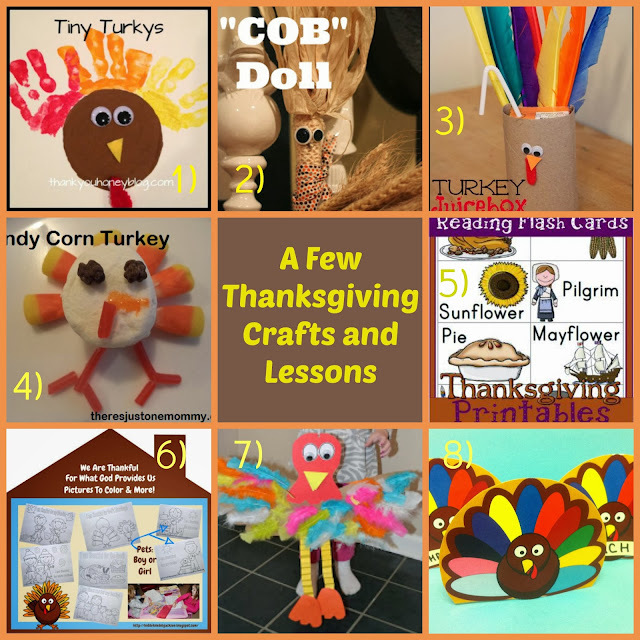 If you are looking for a lesson, craft or decoration, make sure to go back and check the rest of them. This week we shared two more Native American Cinderella tales, our exploration of Thailand with Around the World in 12 Dishes, a round-up of Thanksgiving books we enjoy and a thankful corn craft, and a wonderful flamingo book for Flamingo Friday. Next week I will be focusing on Advent, so if you have any Advent calendars, wreaths, etc. please share them so I can feature them! !